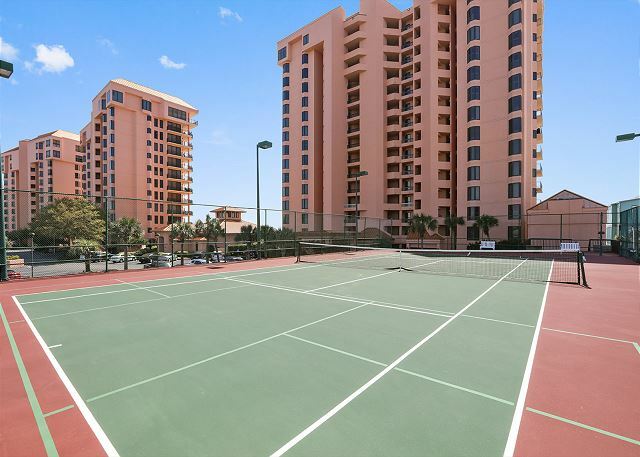 Enjoy beautiful views from this comfortable condo, which is equipped with your comfort and relaxation in mind. 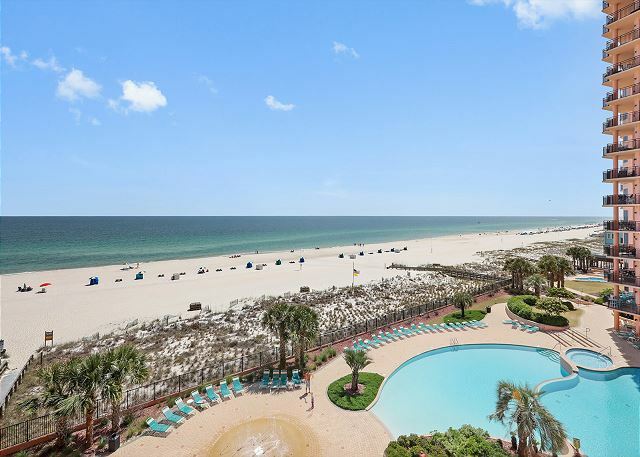 The 5th floor 3 bedroom/2 bath condo is a beachfront luxury with beautiful crown moldings, nine inch baseboards, stunning art work, and beautiful tile floors in every room. 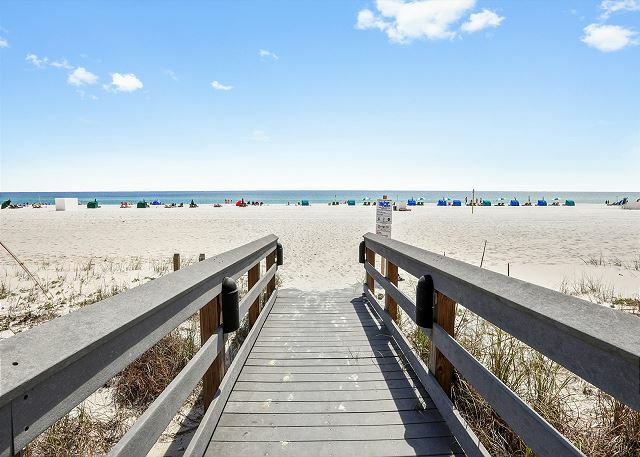 It has a breathtaking view of the beach from the living, dining, kitchen, and master bedroom. 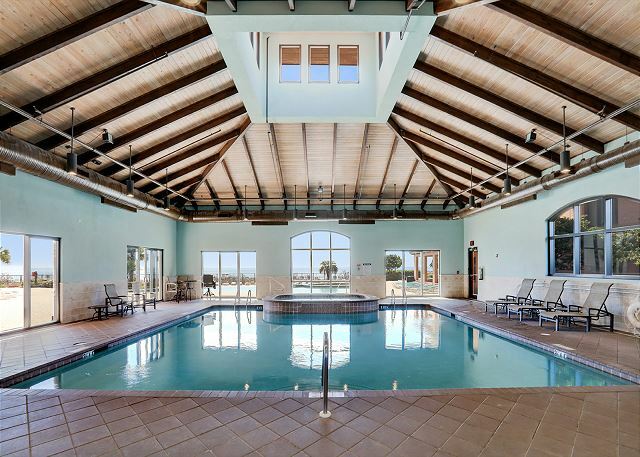 Ceiling fans, flat panel TVs with cable, high-speed wireless internet, and landline phone with free local calls are in the living area and all bedrooms. A Smart TV, DVD players with a selection of DVDs, popular books and board games are also available for your enjoyment. The Turquoise (master) Bedroom is furnished with a king size bed with Sferra matelassé spread and shams. The Coral Bedroom is furnished with a queen size bed and the Sea Creature Bedroom is furnished with twin beds and Pottery Barn sea creature quilts. The open concept kitchen has granite counter tops and stainless steel Kitchen Aid appliances and is fully equipped with every cooking item you may possibly need. Kitchen stools for counter seating or balcony table and chairs are perfect for casual dining, and the table and eight chairs in the dining area are great for a more elegant meal. The laundry room has a full-size washer and dryer. We have tried to create a perfect space for couples and families looking for a getaway and hope that the soothing peaceful colors in our unit will instantly relax you and make you feel at home. Rents Saturday to Saturday during summer season. Requires 50% Down Payment, remainder due 30 days prior to check-in. The beds were too hard for us but other than that it was a very nice condo, had everything we needed. Great view. Enjoyed our stay. Overall, unit was beautiful, clean and very nice. Beautiful view. Only complaints needs new master bedroom mattress and recliners and or a love seat in living room. Only a couch. With large family seating was not comfortable. Thank you for choosing the Aronov Gulf Coast team for your SeaChase vacation. We're glad you enjoyed your stay with us and hope to see you again soon! We will pass your comments on to the condo owners. It was a very nice condo for a family, spacious with good views. We enjoyed our Spring Break trip. We had a very enjoyable short stay. Thank you for your feedback. We're so glad you enjoyed your stay with us. 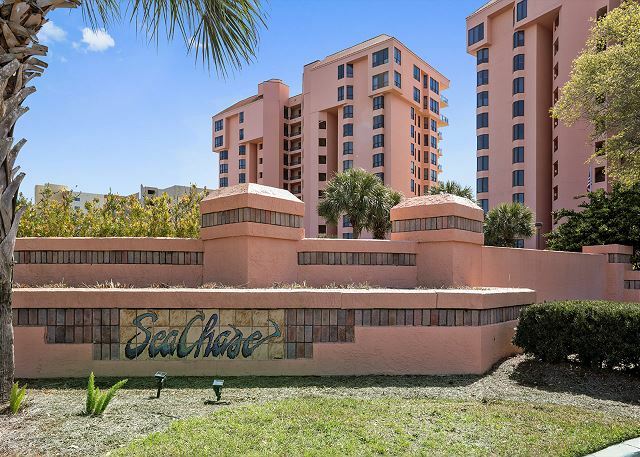 We hope you can join us at SeaChase again soon and can stay longer next time! We again enjoyed our condo and vacation for a month at Sea Chase. Glad we found such a nice place to stay and get away from winter in Iowa. Thank you! We'll see you next year!